Business owners are always looking for unique ways to get their message to employees in a cost effective and efficient manner. Meetings are often ineffective, emails tend to go unread, and conference calls are limited by numbers. So how can you get your business message and marketing tools out to your employees in a better manner? Podcasts. Podcasts are like radio stations that can be listened to at any time. They are typically pre-recorded, although some can air live as well, and can be played as often as one wants to listen to it. This is a great tool for marketing managers and executive officers who want to talk to all their employees, but don’t have time or capabilities to do so effectively face-to-face. Those in the retail, restaurant, work-at-home, and multi-office industries can benefit from messages via podcasts. 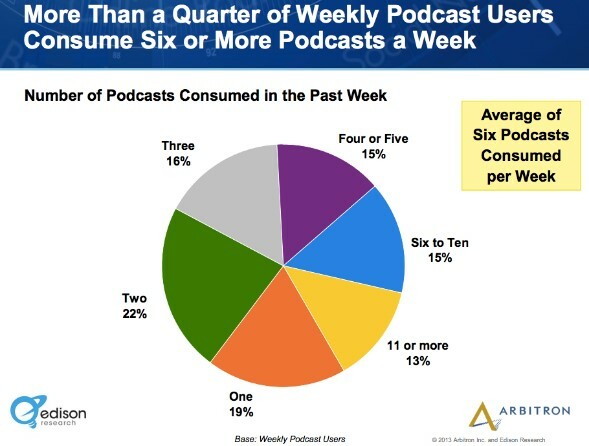 A recent statistic showed that 42 million Americans listen to podcasts weekly. Most people listen on their mobile devices, but for those who do not have a mobile phone there are services available where you can call into a dedicated phone line, such as a 1300 number, and have your employees listen to your message. This can be a great tool for retail store staff meetings; the store manager can call into the number and play the podcast over speaker phone to all the employees at the same time. After, discussions can take place on how to implement what was discussed, for example. This tool can also be used to generate sales leads. Businesses can instruct consumers to call into a number for more information, such as for Real Estate Agents to provide information about a house for sale. The options are virtually endless. Not only is it challenging to get the same message out of all employees in a large corporation, but when you have employees in multiple time zones the task is even more cumbersome. Using podcasts to deliver internal employee communications is a great way to ensure that all your staff can listen to your message during their working hours. You can upload a podcast at 8 a.m. in your time zone and your employees across the globe can listen when they get to work. Having a consistent schedule for employees to tune into your podcast ensures that your employees will get the latest information in a timely manner. They can also replay the podcast if something was not clear or if they need a refresher on the subject matter at a later time. It is not always practical to get a team trainer to every location you may have. By utilizing podcasts, you can provide training to all employees in a cost-effective manner. Additionally, you can bring in specialists to do a podcast for your company. There are many types of consultants who offer training and putting it in a podcast version can be lucrative for your business model. 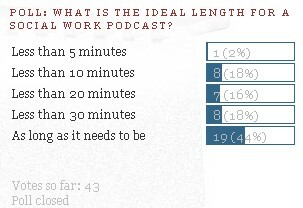 As stated earlier, having a scheduled time that podcasts will be released is important for consistency. Whether you have training launched every Tuesday at 10 a.m. or the first Thursday of each month, make sure that you have a plan and relay it to your staff. This will dramatically improve the success of your podcasts. In addition, pre-planning is essential. You should have a list of several topics that you will be speaking on. The beauty of podcasts is that you can record them at any time, so you can pre-record 6 podcasts all at the same time or do them at the scheduled time. The flexibility of this tool is user friendly. Sometimes you will want to put together several series of podcasts for your employees. Perhaps you will have topics such as: sales strategies, policies, human resources. All of these can be broken down into different series of podcasts that employees can listen to at their leisure or when they need information. Instead of producing large and costly employee manuals, you can have podcasts of all your important work-related issues and resolutions. If something changes, you can put out a new podcast on that single topic, instead of reprinting an entire manual. No one wants to listen to a podcast that is dull and puts them to sleep. Remember that this tool is used to engage your employees when you are unable to work with them face-to-face. Use humor, when appropriate, and don’t use a monotone voice. Find an employee with a good voice tone to record your podcasts if you know you have a dry, monotone, speaking style. Add in music and sound effects to capture the attention of your listeners. Radio station personalities have a unique way of engaging listeners for long periods of time. Podcasts are no different. If you cannot keep your audiences’ attention, your message will not get through to them. Podcasting provides the listener so much more flexibility. They offer the ability to take advantage of downtime, to stay informed, and feel more engaged about things happenings within your company. Instead of feeling like they are left out of the corporate loop, podcasts can be listened to at any time of the day and help make an employee feel that they are part of the action, especially if you offer regular podcasts to your staff. If you have staff that is unable to listen to a podcast during working hours, they can tune in on their commute home or on their lunch break. This way they are still able to get the information while multitasking. The benefits of utilizing podcasts for internal business communications are endless. Podcast give you, as a business owner, the opportunity to give all your employees the same information at one time while giving your staff the chance to tune in at their leisure. Employees can go back and listen to your message repeatedly and have a library of podcasts to chose from when they need a refresher on a topic.